The Cultural Congress and Confab, a 3-day conference hosted by Washington State Art Alliance with support from the Washington State Arts Commission (ArtsWA) brought together art educators, advocates, students, non- and for profit art groups to address some of the most relevant issues affecting the arts in Washington state. This year’s conference ran from October 11-13 and offered panel discussions, presentations and entertainment. Artstra board members Sharon Svec and Jean LaCrosse attended 13 different sessions in total, collecting information and resources to help further our advocacy for the arts in our community. There was a wealth of information at the event. The first thing that struck our interest was Gallery One. Gallery one is a visual arts center in Ellensburg, and was home base for the Cultural Congress. The three story multipurpose space is in its 50th year and provides studio spaces for artists, after school programs for kids, a full ceramics studio, a retail gift shop, a large event space, and an outdoor courtyard. We spoke with Sarah Haven, the retail manager for the gift shop, carrying works by artists from all over the country. She explained the programs that support Gallery One and the history of its formation and thriving growth that’s taken place there. According to their most recent annual report, events make up 20% of income while sales account for 32%. Selling goods takes a big chunk out of expenses too, coming in at 21% of the total. Much of their success has been supported through partnerships with the Main Street Association, Downtown Association, and the City of Ellensburg which instituted a valuable funding stream from tax on new construction. Overall, it was evident that art advocates in Washington State have a solid faith in the ability of art to heal and transform individuals and communities. The congress gave attendees an opportunity to reflect on both scientific data and personal experiences which support this idea, and to further identify methods of maintaining and growing the value of arts advocacy in our communities. 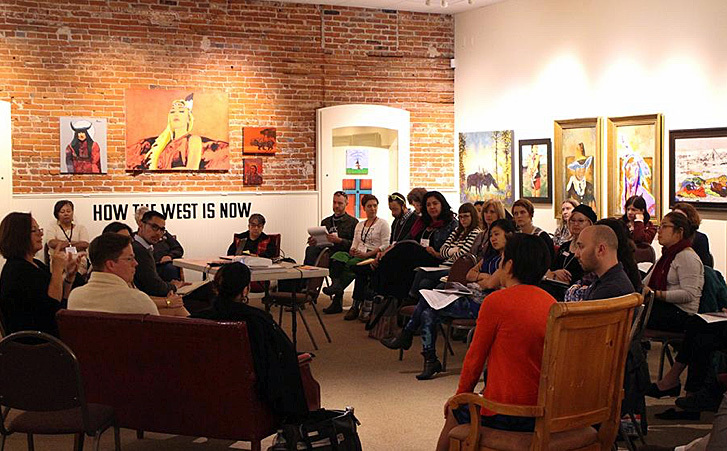 We are thrilled to have been a part of this most recent gathering of arts advocates, and hope that you too will consider the unmistakable benefits of art as you continue to build personal and social connections in your world. Contact us at Artstra if you want to know more about how art can help further your community goals.